The first homemade cake I ever had was prepared in a pressure cooker by my mom.It was perfect .I remember, there was no hand blender to make the cake batter.In fact my mom used her palm to mix the final batter.She said,with palm you can feel the smoothness of the batter and not only that the warmth of your palm improves the texture of the cake. 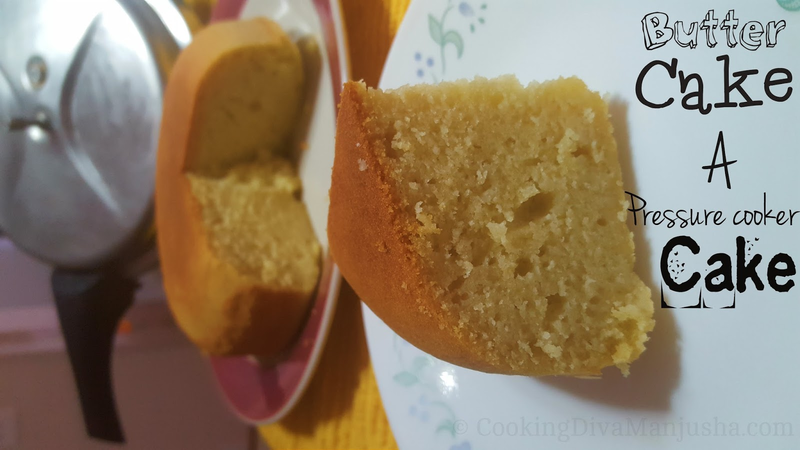 Every time she baked a cake in pressure cooker,it just came out awesome. That aroma, that would fill the entire home was so out of the world or should I say ,would put you in a magical world .All of a sudden, I would be head over heels for the pressure cooker ...staring ,flirting,waiting,wooing...wishing if the pressure cooker can somehow hear me and make this baking process faster...or at least trying to pass my time and testing the depth of my patience.Even though I used to hate kitchen once,this baking aroma would lure me into the kitchen ..I would become the watchman err..watch woman of the kitchen all of a sudden..
And when mom opened that pressure cooker,I would be standing there all speechless and breathless and when the cake came out...Man, I was floored !! ..Such a beautiful cake !! All of a sudden I would be having a deep respect for this pressure cooker..thinking "kitna kaam karna padta hai bechari ko.../what all things a pressure cooker is under pressure to do ?...We eventually bought a oven though...However,a cake made in a pressure cooker is what gives me the biggest nostalgia and smile !! However,in my case ,I got lucky that ,after landing in US,I was pretty surprised to see the cooking stove here comes with a huge oven beneath it and that certainly poked and woke up the baking instinct in me for sure.Poor oven ! !They withstood all my baking dares and disasters silently and patiently until it became a signature/better!! Once it did give me a warning with some minor issues ..but guess what that helped me to bake a cake without oven on stove top using my pizza pan. 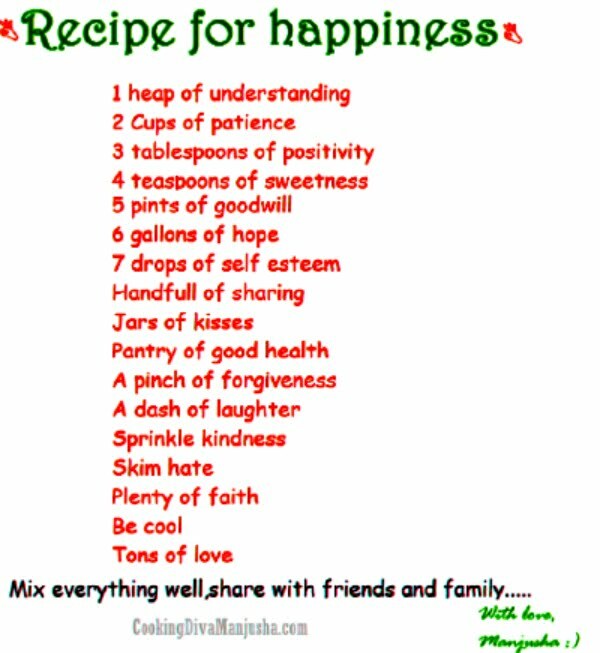 Which inspired my curiosity to bake another cake without oven on stove top in a frying pan. So,I used to bake in my oven as and when needed .However,baking in a pressure cooker was pending and in my wishlist since long.After a few trials and errors ,failures and success ,tips and tricks I baked a cake in my pressure cooker directly without any sand or salt ,as is the norm usually to make a pressure cooker cake and my mom just used the cake/small stand that came with the pressure cookers only.However,my pressure cooker didn't have one.So,after lots of research,anatomy and experiments ,I baked a few cakes successfully in my pressure cooker with no salt/sand/stand. 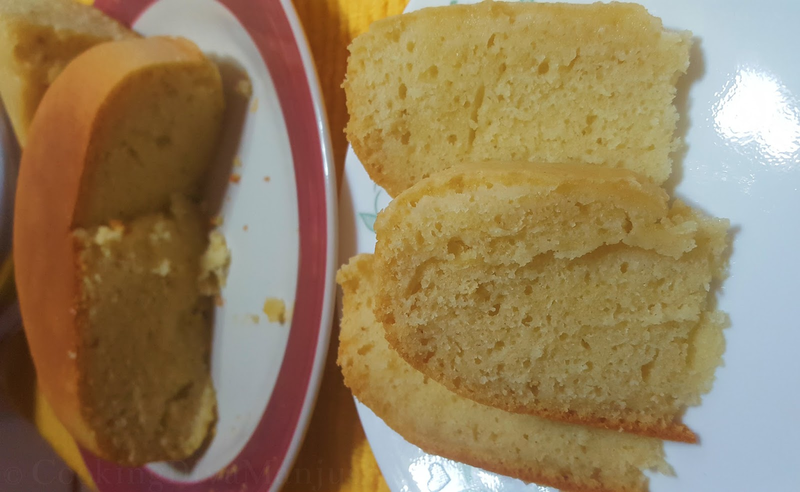 I even made a video that will show and highlight how to make a cake in pressure cooker without any sand or salt using a loophole ...So,I made a simple butter cake for the same.So,butter cake recipe is included in the video itself. Unlike oven ,pressure cooker also builds pressure inside me,since I can't see if it's baking well or not.Anyways,all is well that ends well. 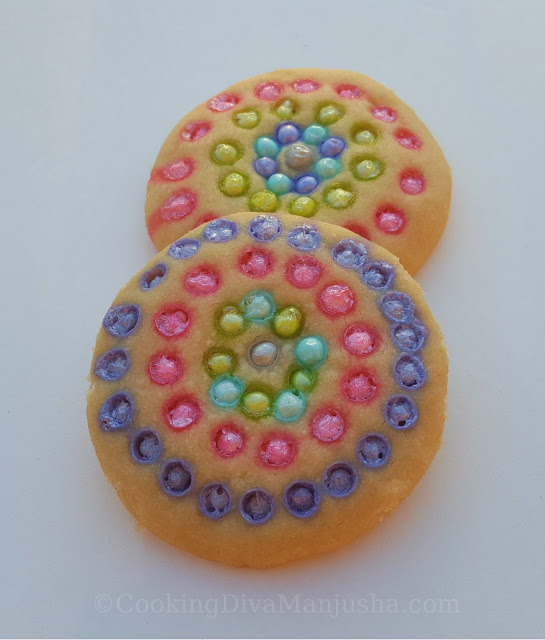 "Baking cookie is comforting, and cookies are the sweetest little bit of comfort food.They are very bite size and personal." ~ Sandra Lee. 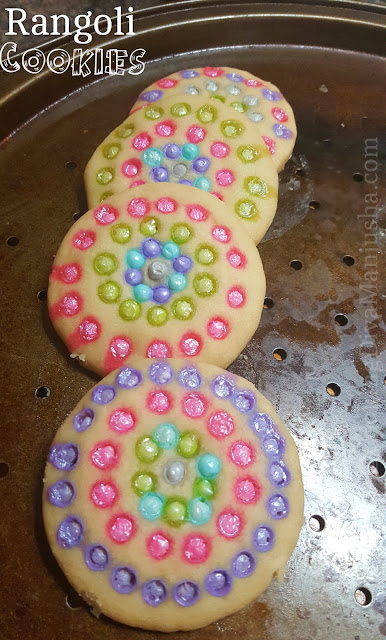 So,that's how my rangoli cookie was born ..I gifted it to my friend who loved it so much that any party she has, we bake bunch of this cookie ..even her kids would happily participate,even though we try to hide those edible pearls at times..Can't blame them,sometimes even I would nibble them ...And sometimes,I simply wanna stare at them and eat with my eyes only.....Irresistible !! These are also eggless cookies .So,pls watch my video that will show you how to make my rangoli cookie at home. These cookies are gift-worthy and needless to say,you can't stop at one.